Our teeth are whiter, shinier, and straighter—but in terms of cavities and tooth decay, they’re not as healthy as the teeth of our ancestors, according to research published in scientific journal Nature Genetics. Learn more about this surprising discovery below. The researchers were able to trace the changes in oral bacteria from the last hunter-gatherers, through the Neolithic, medieval, Industrial Revolution, and modern eras. They found that, as humans switched from an all-meat diet to a diet high in grains and wheat, they developed more and more tooth decay. Their conclusion? While the advent of agriculture might have revolutionized our quality of living, but it wreaked havoc on our teeth. Researchers also found that early hunter-gatherer groups had greater diversity of disease-associated bacteria. More bacterial diversity means that our ancestors’ mouths were more resilient to stresses and less likely to develop disease. 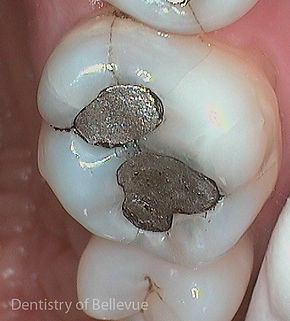 These finding make sense when you think about what causes tooth decay. Contrary to popular belief, it’s not sugar directly that makes teeth rot. 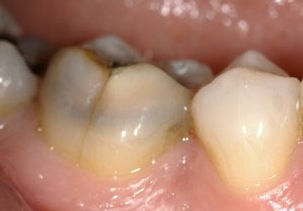 It’s actually the bacteria that live on the teeth, who love to eat sugar and carbohydrates. Once they’ve eaten, the bacteria process the gluten into acid which destroys the teeth enamel. The more sugar and grains, the more acid and the more tooth issues. These results are no doubt good news for advocates of the paleo diet—but really, any diet that is high in protein and vegetables will be good for your teeth, as well as the rest of your body. You can also take care of your teeth by chewing gum that contains xylitol; brushing your teeth regularly and correctly; and having regular dentist check-ups. If you have sensitive, chipped, or stained teeth, be sure to visit our dentist office in Apex NC for a consultation. Our experienced dental team will make sure you have the healthiest smile possible. To schedule an appointment with us, click here. We all know about the negative health effects of sugar, especially when it comes to teeth. Fortunately, artificial sweeteners don’t have the same effect on teeth as sugar, and can help you have a much healthier smile. One artificial sweetener, xylitol, even has positive effects on teeth. Here’s everything you need to know about Xylitol from a dentist in Apex, NC. Xylitol is categorized as a sugar alcohol. That means that it combines traits of sugar molecules and alcohol molecules to create a structure very similar to that of sugar. However, Xylitol has much fewer calories, doesn’t raise blood sugar levels, and actually kills the harms the bacteria that live on your teeth and cause tooth decay. Despite the pharmaceutical-sounding name, Xylitol is found in many fruits and vegetables, and is even produced in small amounts by the human metabolism. It can also be processed from trees like birch, or from a plant fiber called xylan. For these reasons, most health professionals consider it to be a safe, natural substance. Xylitol functions a lot like a “mousetrap” for the bacteria that live on your teeth. Normally, these bacteria ingest sugar and carbohydrates and convert them into acid, which destroys the tooth enamel. After the bacteria ingest xylitol, however, they are no longer able to absorb glucose. With their energy-producing pathway clogged up, they end up starving to death. That’s why many dentists recommend using xylitol-sweetened chewing gum: it’s one of very few things that can actually kill harmful tooth bacteria. If you buy gum or candy that contains Xylitol, it is very important to keep it away from any dogs in your house. When a dog eats xylitol, its body mistakes it for glucose and starts producing large amounts of insulin. Then, the dog’s cells start absorbing glucose from the bloodstream, which can lead to hypoglycemia, low blood sugar, and even death. Xylitol may also have detrimental effects on liver function in dogs, with high doses causing liver failure. It only takes 0.1 grams per kg of body weight for a dog to be affected. To put that in perspective, a 6 pound Chihuahua could get sick or die from eating a single piece of xylitol chewing gum. If you are in need of a dental cleaning, oral surgery or other dental service, be sure to contact our general dentist in Apex NC. At Hansen Dentistry, we will do our best to make you feel relaxed and at home while receiving expert dental care. To schedule an appointment, click here. WE OFTEN GET THIS QUESTION from our patients, “What’s the difference between plaque and tartar?” Many patients think they are the same thing. However, there is an important difference between the two. Understanding how they are different can help explain why a daily oral hygiene routine is so crucial, as well as twice-yearly visits to your dentist. Dental plaque is the soft, sticky film that builds up on your teeth and under your gums. It starts forming soon after you finish brushing. In other words, plaque is constantly accumulating on your teeth. And guess what? It contains millions of bacteria! When you eat—especially carbohydrates or sugar—you’re not the only one getting a meal…so are the bacteria on your teeth. After these bacteria dine on sugar, they produce acids that erode your tooth enamel and cause cavities. We have found that while many of our patients with wisdom teeth know that they should be extracted, very few of them understand why. So here you go…A Little Wisdom about Wisdom Teeth. There are several reasons your Apex Dentist might recommend having your third molars, also known as Wisdom teeth, extracted. Very few people have adequate space in their dental arch for wisdom teeth. If you are one of the lucky ones that does have enough room, be sure your toothbrush is reaching all the way back to those teeth, as they are often very difficult to keep clean. If/when 3rd molars develop cavities (as they often do), it is usually better to put financial resources towards having these teeth extracted rather than filled as they usually only cause more problems down the road. For patients who do not have enough room in their dental arch, the 3rd molars are often unable to properly erupt, making it difficult or even impossible to keep clean. The improper eruption can cause a variety of problems including but not limited to, periodontal infections, dental decay, and dental abcesses. The first radiograph was of a patient for whom Dr. Hansen had to perform an extraction not only the partially erupted wisdom tooth but the 2nd (more important) molar as well due to the decay caused by the wisdom tooth. The second radiograph demonstrates another reason that 3rd molars often need to be extracted: dental abcesses. This particular abcess was so large that this patient was a risk of her lower jaw breaking. The radiograph also demonstrates the importance of routine dental check ups, as this patient did not have any pain associated with the dental abcess. She literally would not have ever known that it was there except that she was consistent with her dental examinations, including dental radiographs. Understanding dental problems that can arise from wisdom teeth is important so patients are able to take necessary steps to seek treatment. Typically, your Apex dentist will recommend having wisdom extracted between ages 15 and 25 because healing and recovery is much easier for younger patients. If only our wisdom teeth made us all-knowing and wise…that would make for a good case in keeping them! Everyday we see patients that have missing teeth. Sometimes they are teeth that have been recently extracted. Other times they have been missing for years. The reasons for why the teeth are missing vary. But the answers about why to replace them are usually the same. So we wanted to share these answers with you! In the US, about 70% of the population is missing one or more teeth. Tooth loss can lead to reduced self confidence because of gaps in a person’s smile. Unfortunately, effects on physical appearance are not the only result. Teeth are lost or missing for several reasons such as trauma, decay, periodontal disease, or even genetics. 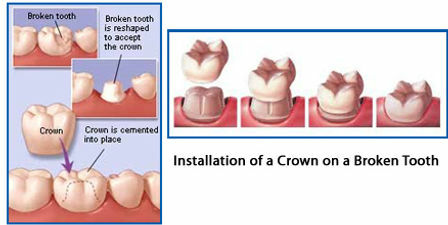 It is important to replace missing teeth because when a tooth is missing there is no contact with the opposing arch. This can cause opposing teeth to gradually extrude which leads to other problem, such as fractures, mobility, tooth loss, shifting in surrounding teeth, and gum problems. There is more than one option available to patients for replacing missing teeth. Like most choices, each option has pros and cons. The 3 most common options are replacing the missing teeth with implants, crowns and bridges or dentures. Sometimes a combination of two of these options can be used, such as a denture that is supported by implants, or a bridge that is supported by implants. We will cover more about what the pros and cons of each of these treatments are in upcoming blog posts. “An ounce of prevention is worth a pound of cure”, so whenever possible try to avoid loosing the tooth in the first place. The financial cost of saving a tooth with a crown or even a crown and a root canal is substantially less than the cost of an implant and crown or a bridge. Not to mention that by saving one tooth, you are also helping keep the surrounding ones healthy as well. The loss of a tooth is not always preventable, such as in the case of trauma or when a tooth is congenitally missing. But no matter the cause, it is important to understand the effects of missing teeth so that you can take the necessary steps to prevent further problems. Your Apex dentist can answer questions you have about what treatment best fits your needs and your smile. And check back here when we explain more about each treatment in the upcoming weeks!